Magento 2.3: What’s In Store? Progressive web apps – websites or web applications that leverage modern tech to behave like native mobile apps – are great tools to build engaging digital experiences. To help construct these PWAs, Magento 2.3 will include a PWA Studio, assisting developers in creating PWAs on the Magento platform. 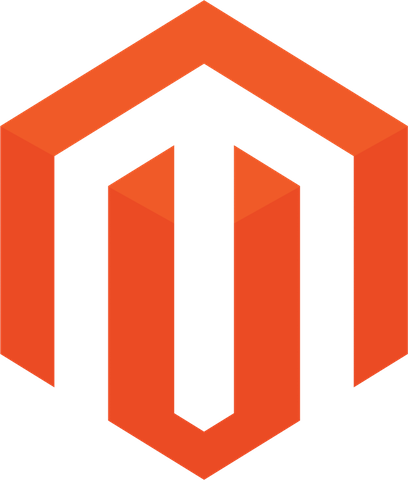 A much requested and welcome addition to the Magento core, MSI will give websites the ability to tap into separate warehouses for fulfillment. This functionality highlights the breadth of knowledge in the Magento community: community members, with Magento oversight, originally developed the tool. Additionally, it incorporates a reservation system during the ordering process. 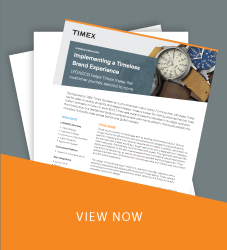 Instead of automatically decrementing inventory, this reservation system eliminates re-indexing and performance issues during peak order times. Security is top of mind for both shoppers and merchants, and Magento 2.3 addresses these concerns with two-factor authentication and Google reCAPTCHA features. These tools provide granular access control and fight against the frequent malicious attempts to access the Magento admin panel. Combined with other best practices such as IP whitelisting and default admin pathing, these features make Magento 2.3 the most secure version of the platform yet. Magento 2.3 puts business users in the driver seat when it comes to experience and content control. The business-friendly page builder enables merchants to build immersive, dynamic, and fully responsive experiences without the need for coding. The tool uses a simple drag-and-drop interface to help users easily build pages and combine components such as tabs, accordions, headings, images, and more. Furthermore, this will be included as a core Magento Commerce offering whereas Magento Open Source users will require a paid extension. Asynchronous web APIs are not your garden-variety web API. Traditionally, a client makes a request and waits for a returned response. The issue here is that, as more requests are sent in, API response times continually grow. Magento 2.3 enables asynchronous web APIs to provide users with the ability to make requests – including bulk requests – without waiting for a response from the server. This makes batch processing using Web APIs a viable approach. Magento 2.3 will provide support for declarative schema, allowing developers to define database structures and changes in XML. The platform can then convert the XML schema files into SQL statements and perform them. Now, users can roll back database changes and perform tests and validations against the schema definition files. Elasticsearch is an extremely valuable tool in Magento Commerce, and Magento 2.3 promises to take this search functionality to the next level. First, the latest update will make Elasticsearch available to Magento Open Source users. This is part of a move towards making Elasticsearch Magento’s default search engine in the future. Second, Magento 23 will support the latest version of Elasticsearch, Elasticsearch v5. One of the biggest moves Magento 2.3 will make is the introduction of the new GraphQL API language. GraphQL’s query language opens up data retrieval possibilities for PWAs by allowing the requestor to ask for an asset’s limited subset of attributes as well as chain these requests. These optimized queries speed up the front-end experience. To support GraphQL, Magento 2.3 will have an entirely new layer that interfaces directly with the Query API. In addition to REST and SOAP, there will be a GraphQL endpoint added that focuses on storefront scenarios. In the future, this will support mutations to checkout and payment processes and could impact storefronts through checkout, order, and my account functionality. In closing, Magento 2.3 is poised to profoundly improve the Magento platform in several aspects. Users will be able to control their entire experience via Page Builder, keep it secure through two-factor authentication and Google reCAPTCHA, and utilize a host of technical tools to simplify and accelerate site maintenance and performance. These changes are significant: if you are interested in upgrading to Magento 2.3, you should consult with a qualified and experienced Magento solutions partner to determine the best path forward. If you have any questions, feel free to reach out to us here at LYONSCG.